The List: 2014 in the Arts! 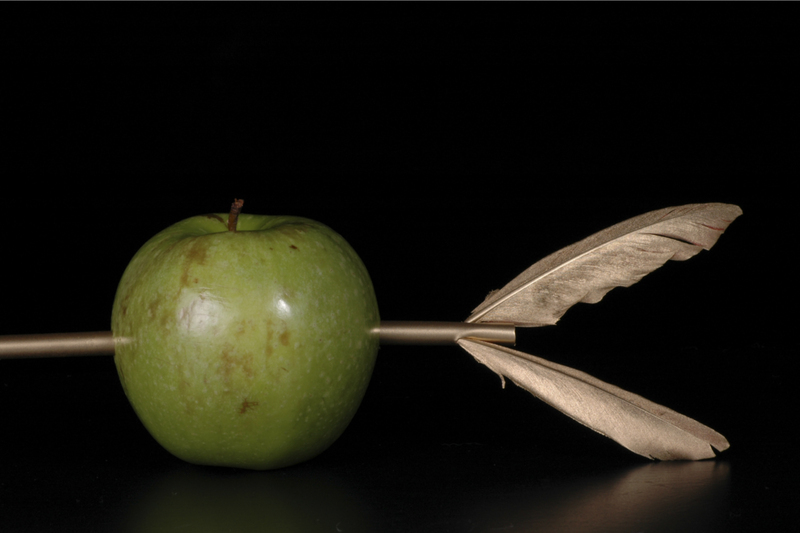 Imported musical highlight of the year: Teatro Regio Torino’s “William Tell” in concert in December. I traveled to Chicago for this one – just couldn’t wait to hear it in Ann Arbor at Hill Auditorium, where UMS presented it a week later. Four hours magnificently spent with musicians and singers who were beyond extraordinary, in an opera that was, I have to say, unexpectedly compelling and quite different from Rossini’s light, bubbly, more popular operas. 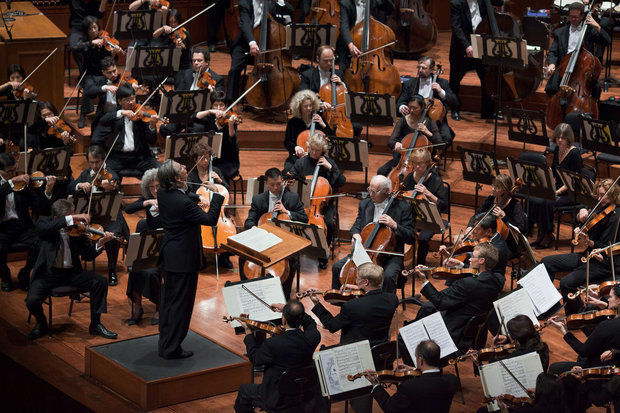 Domestic musical highlight of the year: The San Francisco Symphony Mahler 7 in November was a revelation, a cohesive account of this disjunct Mahler symphony from arguably the best Mahler band on the planet, led by the SFS’s Mahler man and music director, Michael Tilson Thomas. 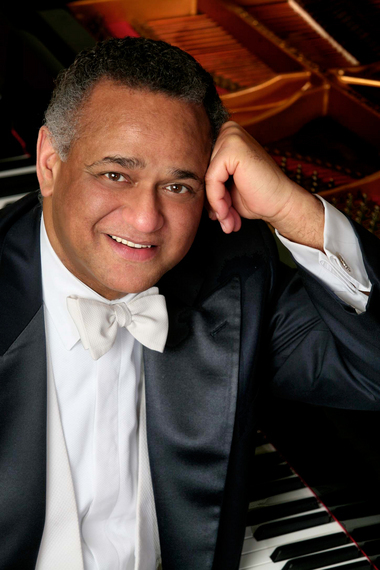 Home-grown (mostly) musical highlight of the year: The Ann Arbor Symphony Orchestra’s “Beethoven Festival” in September, with Andre Watts as soloist in the “Emperor Concerto.” Electric playing from all concerned as the A2SO, under Music Director Arie Lipsky, went really big time with a big-name soloist in the city’s biggest hall, Hill Auditorium. 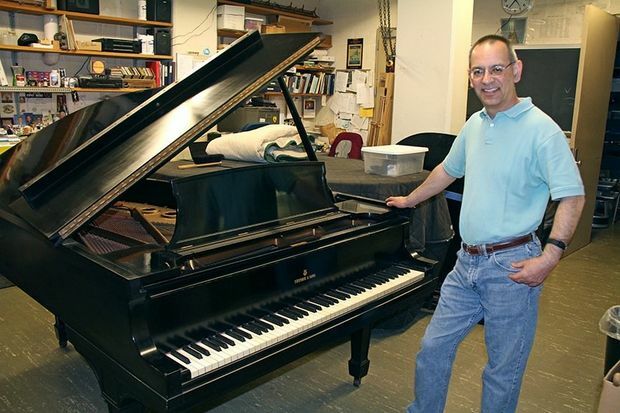 Favorite story I reported: George Gershwin’s last piano restored for use at the University of Michigan. I’m a piano nerd, so spending time chatting with the guys who did the job – U-M head piano technician Robert Grijalva and Pianocrafter’s Patrick DeBeliso – was a blast. I know a lot more about the insides of the instrument now. Unfortunately, I have also developed a deep need for a Steinway Long A grand piano as a result of writing this story. Most captivating dance event: Charleroi Danses’ “Kiss & Cry,” presented by UMS at Power Center in October. 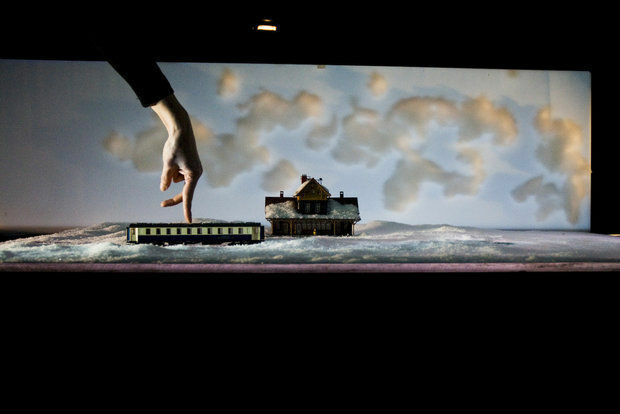 Poignant storytelling from Jaco Van Dormael and Michele Anne de Mey in a “nano-dance” that exploited film and dance and all the possibilities of live performance. Favorite folks to talk to: One of the privileges of my job is interviewing the folks who dance, conduct, compose, sing, play and choreograph. They’re incredibly generous with their time and fascinating to speak with. And the winners in my fave folks categories are, in alpha order: violinist Joshua Bell, mezzo Tara Erraught, pianist Anton Nel, A2SO music director Arie Lipsky, Turin conductor Gianandrea Noseda, violinist Itzhak Perlman, Emerson String Quartet cellist Paul Watkins, pianist Andre Watts. Thanks to all for providing insights and great conversation! 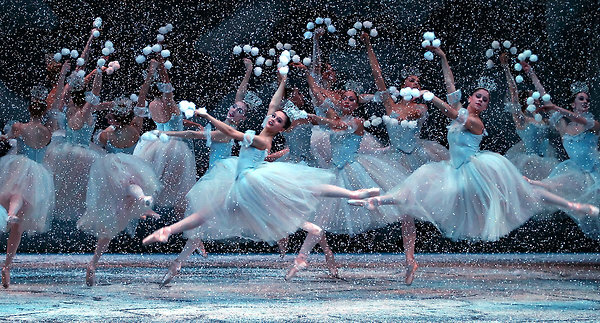 Nostalgia trip: George Balanchine’s iconic “Nutcracker” turned 60! This was the ballet –and the production — that turned me into a passionate, lifelong dance fan when I saw it in 1956, just 2 years after Balanchine made it. Was Maria Tallchief dancing Sugar Plum that year and that day when my parents took me and my sister to New York’s City Center to see it? I don’t know, but I do remember that I refused to leave the theater after – I just didn’t want the experience to end. What were your arts highlights in 2014? Hope you had a great year in theaters near and far! This entry was posted in Dance, music and tagged Andre Watts, Ann Arbor Symphony Orchestra, Anton Nel, Arie Lipsky, Balanchine, Cello, Chamber Music, Charleroi Danses, Concert, Dance, Emerson String Quartet, Gershwin, HIll Auditorium, Nutcracker, San Francisco Symphony, Teatro Regio Torino, University Musical Society, University of Michigan. Bookmark the permalink.